Home » Tabletop » Helbrute ready for paint! There are a few shared parts in this model. Before you start, decide for yourself what to magnetize, and search for the common "denominator" if you have mutliple attachments, and whether or not you want to use it. Use Superglue (Secondelijm in Dutch, I used the Gel variant, not Liquid), not Plastic Glues on the magnets. This build requires quite a bit of it. Make sure you have enough, as most superblue come in very small packages (about 3 grams, like mine). To make sure that magnets polarities were aligned properly I did this: Glue one magnet to the model, and let dry. Attach another magnet to the glued one. If it sticks, the polarity is right. Use a permanent marker (sharpie?) on the side that is visible to you. Let the ink dry. When you're ready to attach that second magnet, put it on the model WITH THE MARKED END FACING DOWN. With the shoulder-parts, you need to magnetize through the plastic, you'll need powerful magnets for that. You can stack them to increase their power. When putting the magnet into the shoulderpart of the arm (*sigh* how to explain that properly...) you need to glue it with the ink visible!! Hello there! 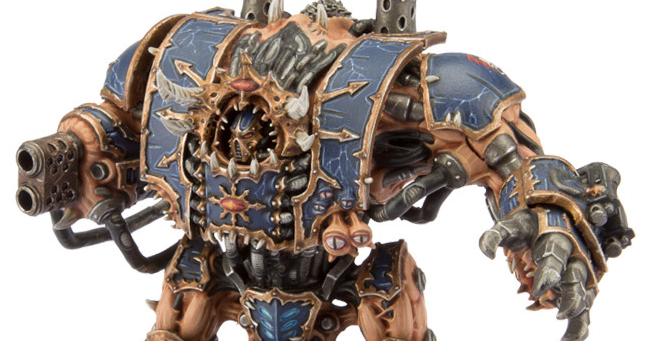 This post is going to be about assembling and magnetizing a Chaos Helbrute. A Helbrute is the Chaos equivalent for the Dreadnought, being a walker and having all sorts of weapon loadouts. Personally I'm not too fond of the looks of the model, I'm not really into daemons, nor are the Night Lords, and I prefer the regular Dreadnought model. Alas, as I'm not allowed to field that (or better, I don't want to field it and proxy it for different stats) I'm "stuck" with it. That being said: It does look sick with that auto cannon!! It took me around 6 hours to get the whole thing done. Cutting it from sprue, removing the excess material, gluing, waiting, waiting some more, slapping myself on the wrist after I made the first mistake, re-watching the Youtube video's by The FallenStar, etc. Unlike mentioned in the YT movie, I chose not to magnetize the feet. I want to do something with the base, so I decided to magnetize the mid-section. If - or when - it gets destroyed, I can place the body next to the legs or remove it altogether. Make sure you align the feet correctly!! You will have to add another tiny bit to his "calves" - its Achilles' heel I'd think you'd call it - so the flat sections need to be facing front! With the torso I quickly decided to work the opposite route indicated in the manual. As the front-plate has little to no resistance on the mid-section, and won't stand straight due to its center of gravity, I chose to apply the rear-plate first and wait until the glue dried. I then added the "roof" and waited again. Only then did I apply the front. For this I used 8mm x 1mm magnets, as I think the 4mm ones will not have enough power to keep it up. To make sure the magnets connected properly, I used a scalpel and file to make a flat surface on the torso. Easy peasy. For the right arm there are 2 arm sections. One for the melee option (a Power Fist with optional twin-linked bolter and/or a flame thrower), and one for shooty weapons. As seen in the movies, use a big magnet inside the torso-side - for this I used 2 stacked 10mm x 0.5mm magnets - and then another one inside the arm itself. And this is where I failed... I was so concentrated on following the manual, trying not to screw up, that I glued the shoulder guard onto the arm.... As I used clamps to make sure it was a snug fit, I was unable to separate them... DOH! For the connection between arm and armaments I used the same 2mm x 1mm magnets. As I used clamps on the weapons too, they weren't really required as the weapons require a bit of force to even slid on there, but better safe than sorry I guess? I might remove some plastic on the inside of the weapon though, as I prefer the transfer to be a bit smoother. sidenote: There's one option on the weapon-arms that requires another decision. One of the casings is shared between Heavy Bolter and Lascannon. "TFS" magnetized that as well, but I doubted I'd ever use the Heavy Bolter, so I just glued the Lascannon into place. This arm was a bit more challenging, due to the fact that it has 4 options, but only 3 shoulder joints... The Thunder Hammer and Power Scourge share the same joint. The Power Fist and Missile Launcher are straight-forward - again, make sure you magnetize the Launcher and melee arm before you close them up! - but with the TH/PS I chose a different path than The FallenStar. In his movie he chose one of the two and just glued it together (which he, in reply to me on pt.10 I think it was, has rectified, he now has both options available). I opted for not gluing the joint to the arm, but filling up the arms with Green Stuff and adding another 10mm x 0.5mm magnet. I cut off something like 2cm length, squeezed and mashed it together until the blue and yellow actually made the green color, divided it over both arms, and glued the shoulder guard only to the shoulder joint, not the arm! Mind, the magnet from the joint and the arm (the one in the green stuff) do not touch, but the attraction is more than enough to keep it in place. So here it is! A brute in its full glory! And here it looks rather silly, all apart. I had to leave off most of the external cabling/hoses as they, also, were very much shared between separate pieces. The only one I did attach were the ones for the left arm melee option. All in all I found this a very satisfying piece to work on, as due to the way the shoulder-joint are formed, everything fits together really nicely and is very much invisible!! Leave your comments (which I'm sure there will be) below, and I might see you next time!? Older Posts More models incoming!